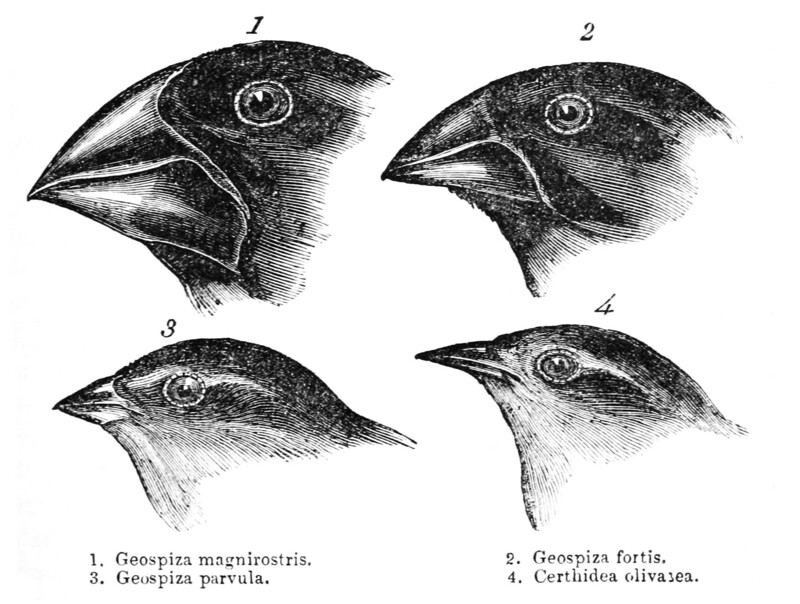 It is only a mathematical model which predicts that a parasitic fly may drive Darwin’s finches to extinction. And the authors then suggest that human intervention is needed to “save” them because natural selection is just not potent enough or fast enough to allow them to adapt. Why the “specist” discrimination? Why should finches be in a privileged position compared to the flies? Their genes may not be threatened but they surely are more important, as a patently “fitter” species”, than those of the finches? Another case of misguided conservation, where human intervention is proposed to protect an unfit species at the expense of a fitter species. Mathematical simulations at the University of Utah show parasitic flies may spell extinction for Darwin’s finches in the Galapagos Islands, but that pest-control efforts might save the birds that helped inspire the theory of evolution. The new study “shows that the fly has the potential to drive populations of the most common species of Darwin’s finch to extinction in several decades,” says biology professor Dale Clayton, senior author of the study published online Dec. 18 in the Journal of Applied Ecology. The authors justify their unjustifiable proposals by invoking the meaningless god of “global diversity”. The case of the flies and finches exemplifies how “introduced pathogens and other parasites pose a major threat to global diversity,” especially on islands, which tend to have smaller habitat sizes and lower genetic diversity, the researchers write. It is only another alarmist mathematical model. Yet the fundamental reality, whenever a species goes extinct, is that it no longer has any significant part to play in an ecology. If it was relevant and significant to an ecology then its survival would be implicit. And what makes an ecology containing 10 species any better or any worse than an ecology containing 100 species? Surely it is the effectiveness or sustainability of that ecology which counts and not the number of species it contains. A reader commented on the About page about an old post where comments are closed. Hello, I wanted to comment on a post but couldn’t find where to do it, so I’ll just do it here. About the Galapagos conservation project. I know your post was intended to be humurous but it think it is important to make this clear anyway: it was not a way to protect a charismatic species above an “ugly” species. Even if rats were there before Darwin arrived, they were an introduced european species (Rattus rattus) that had limited the perpetuation of Galapagos turtles since its introduction to the Island. The rats ate 100% of the hatchlings that had no predators before. It is not “specism”, rodents are not bad, but introduced species in general damage ecosystems, whether they are a pretty animal or not. Conservation is not a matter of some animalistic fan group, it takes years of research and effort to understand its mechanics. (The Galapagos turtle is itself an invasive species and how it got there is not known. And it is interesting to consider all the humans who were “introduced” to Australia and the New World as invasive species who – for the conservation of the indigenous peoples – should now be rooted out). “Conservationists” are effectively making value judgements which are unjustified. When “general damage to an ecosystem” is quoted, a judgement has already been made as to which ecosystem is “good” and which is “bad”. But all these judgements always penalise the successful species and protect the unfit species. I think the Galapagos turtles are fantastically “charismatic” too, but they are fundamentally an unfit species. In evolutionary terms they are ripe for extinction. So are tigers. But they are being “saved” for the aesthetic sensibilities and the entertainment of humans – not for finding or creating an adapted neo-tiger or neo-turtle species which can find a real place in the world, rather than for surviving in a zoo. Protected reserves – as some of the Galapagos islands are – are little more than large zoos and their purpose is just for the entertainment and edification of humans. “Conservation” as it is practiced today seeks to maintain a past, or an unviable status quo. Such “conservation” is flawed. In the name of “conservation”, reserves and zoos are used to create big cats for “canned hunting”. By default, a “huntable lion”, no good for anything other than being hunted, is now being bred. Far better to help a species to adapt to real, possible futures. Far better if species were helped (by genetic engineering perhaps) to adjust to the new realities and find a new place. What’s the point of saving a species, that is unfit for a current habitat, and freezing it in this unsuccessful form for a habitat which is no longer viable? As the dominant species on this planet, humans will never allow some other species to become so successful as to be a threat. There is no moral reason they should. And species which cannot adapt to the dominant species are unfit and deserve to become extinct. After all, 99% of all species that have ever lived are now extinct. A few days ago Microsoft announced that it was dropping the “Nokia” brand and would continue with “Lumia”. 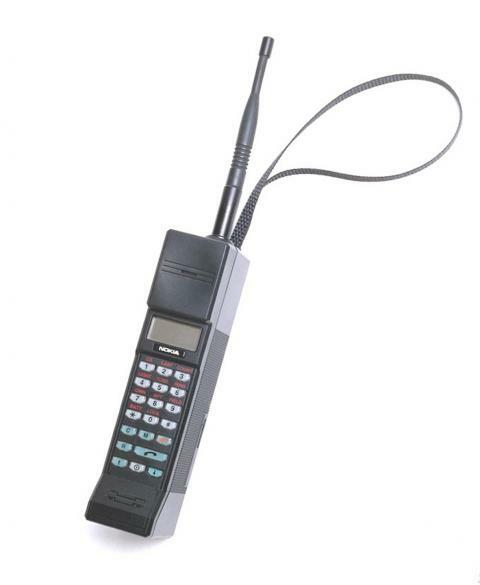 My first mobile phone ever was an NMT900 in 1988 or ’89. My first five mobile phones were all Nokias. It felt like the end of an era. As if some well loved species was going extinct. Irish Independent: For many of us it’s a name synonymous with mobile phones, but Microsoft is now officially axing the Nokia brand in favour of its own Lumia range of Windows smartphones. The tech giant bought Nokia’s mobile division back in April for $7.2bn along with a 10-year deal to use the Finnish company’s name on smartphones. Now, however, it seems Microsoft wishes to push its own Lumia brand, the most successful iteration of the company’s Windows Phone OS – rival to Google’s Android and Apple’s iOS systems. The company actually began life in the 19 century as a single paper mill in what was then part of the Russian Empire. It grew into an industrial conglomerate with interests in everything from galoshes to gas masks, with the push into electronics only coming in the 1960s. From the 1980s to 2000s it had a string of mobile hits (including the famous 3310 – one of the best selling mobile devices of all time, with more than 126 million units sold worldwide) but failed to keep on top of its smartphone competitors. Windows Phone meanwhile continues to struggle against iOS and Android, with global market falling to 2.5 per cent. Microsoft will be hoping that Nokia’s ever-popular range of capable, low-end devices will eventually shuffle users in developing markets onto its OS, but nothing looks like it will shake Android and iOS in the high end. But there is no need to be sad. The brand is not going extinct. It is adapting and changing with the times. The company started with a paper mill and only enetered electronics in the 1960s. Now it has adapted and has returned to profit – demonstrating the benefits of genetic evolution over stagnating conservation. The Register: Nokia reported strong results on Thursday even after giving long-suffering shareholders a dividend and taking the hit of a one-time charge. Profits rose to €353m on earnings of €3.3bn, up from €2.9bn a year ago. With the Windows Phone albatross thrown to a reluctant new owner, Nokia is now three divisions: network equipment (Nokia Networks), mapping (HERE) and IPR licensing (Nokia Technologies), but with €2.6bn of income, Networks provides most of the meat. Nokia Networks sales rose 13 per cent year on year, based on LTE sales into China and North America, the company said. HERE grew 12 per cent, and IP licensing nine per cent to €152m; Microsoft is now a more important licensee. The company paid out €1.372bn in dividends and recorded a goodwill charge of €1.2bn against HERE’s profits, the latter reflecting a new evaluation of the division at €2bn. The HERE charge reflected, “an adjustment to the HERE strategy and the related new long-range plan”. Nokia also spent €220m buying back shares. Nokia made a string of mapping acquisitions in the Noughties, the largest of which was Navteq for $8.1bn (€5.6bn at the time). The company defended its continuing investment in HERE, declaring that “we continue to believe we have an opportunity to create significant value with the HERE business, as connected cars become more pervasive and as enterprises deploy new location-services to improve their productivity and efficiency”. Despite all the charges, the company still has €5.4bn in cash and assets. For a corporation to change its genetic code and shift away from a previously successful habitat and move into new territory is not easy. It needs changes to corporate competences and culture and shape and size – and many of the changes are painful. But Nokia seems to be well on the way to reinventing itself – again. It is a lesson from the corporate world which should be taken to heart by all so-called conservationists. In the corporate world, continuing with a failing strategy, or a failing habitat or living in past glories does not help survival. It is genetic adaptation (from paper to tyres to gas masks to phones to networks) which provides Nokia with a new future. Similarly, in the animal world, trying to freeze failing species into a failed strategy in an artificial habitat is pointless. Genetic adaptation not stagnating conservation is the way to go. It has become increasingly clear that polar bear numbers have been grossly (and probably intentionally) underestimated and that reality is beginning to displace the alarmist myth of the species being under threat. Canada has declined to classify the polar bears as being “threatened or endangered”. This has not pleased the environmental priesthood at all. The Center for Biological Diversity has lobbied heavily in the US against the Canadian decision not to toe the politically correct line. 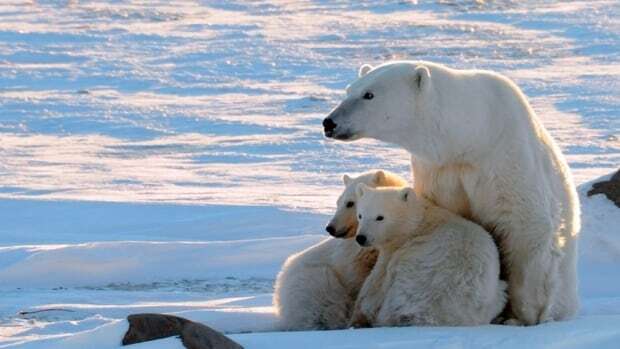 They appealed to an international NAFTA environmental panel to “investigate” Canada’s failure to implement NAFTA rules by failing to classify the thriving polar bears as “threatened and endangered”. This appeal has been rejected. Polar bears remain unthreatened and unendangered in Canada. An international trade panel has decided not to review whether Canada is enforcing its own environmental legislation to protect its polar bear population. Copenhagen Zoo has been marshalling support on the scientific and the ethical plane to try and justify their decision to kill Marius the healthy giraffe. They protest too much and it is a revealing exercise to apply their argumentation to humans. Capital punishment could be applied for all humans convicted of murder or causing a fatal accident or whose genes are defective in any way so that others may live. In current Danish politics, the wrong skin colour in a human is indicative of defective genes. The man who pulled the trigger, the zoo’s own veterinarian Mads Frost Bertelsen, says that a very positive situation lies behind the Zoo’s action. The vet explains that a central European coordinator keeps track of pedigrees, and which genes are represented by individual giraffes in European zoos. The coordinator estimated from these data that Marius’ genes were already well represented and recommended that Marius was killed to protect the population best suited to the gene pool. But now we have reached the point where the human population is doing so well in so many countries. 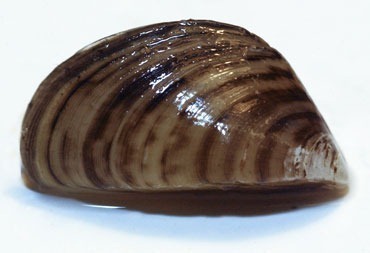 Many individuals cannot be relocated. From East Europe or Africa to Europe for example. Then the best solution is to put them down, especially if their genes are already well represented. Something like the policy China had. Enforced abortion for all children after the first. Marius was allowed to live for one and a half years, then that was it. At that age he can, according to Bertelsen, be described as a ‘teenager’. It was an age when his father had also started roughing him up. If contraception or abortion are not permitted then the individual can be allowed to live for a while and put down just before it reaches child-bearing age. Lions and other carnivores could soon develop a liking for human flesh. The Copenhagen Zoo lets the animals breed because one of the biggest challenges of keeping animals in captivity is that they are bored. …… a great activity for the captive animals is to find a partner, nest, have offspring, feed an raise their offspring, and finally spend energy on throwing the kids out. “The side effect is that we have a surplus of animals. It is in fact fortunate that we can use them as food. Instead of killing 20 goats or a cow, we can use the giraffe,” says Mads Frost Bertelsen. …..
For defective humans or humans of low intelligence, breeding could be encouraged as an antidote to boredom. Surplus individuals produced by such breeding can always then be culled and used as food. They should be killed rather than being sent to countries unwilling to accept them or to countries which cannot be approved. Aalborg Zoo has several arguments for allowing animals to breed, even if it may result in too many babies. …. “The animals are allowed to breed because it is an important part of their natural behavior to have offspring and experience the process of taking care of the them. Looking after the young is one of the best and most natural ways to occupy animals in captivity, In the wild there comes a time when the baby is old enough to break away from the mother and maybe become part of another group. That is the time when we try to find another well-suited zoo for it. If that is not possible, the young animal must be put down,” ”says Jens Sigsgaard. The humans with the defective genes are allowed to breed as part of their natural behaviour. But when any young individual is old enough to break away from the mother we can try and find a new location for the individual. If that is not possible then it must be put down. It is not the killing of an animal that is the problem; it is allowing the individual to be bred with the intention of killing it (and where the feeding of the carcass to lions is only incidental). And there is a difference in the breeding of mice for the purpose of being fed to snakes. Animals are kept captive and alive in zoos just for gawking at. Once upon a time we did that with human “freaks”. I would like to think that we are more “civilised” now where I take “civilised” to be elegance in behaviour. The behaviour of Copenhagen Zoo with Marius was particularly inelegant. The fundamental issue is that Copenhagen Zoo – like all zoos – are places for human entertainment. They fool themselves – and others – into thinking that they are performing a scientific or conservation function – but that is just twaddle. (That is also the fundamental flaw in the conservation of species in zoos where – instead of trying to get the species to adapt genetically – the zoos try to “freeze” the animals genetically in a frozen and artificially maintained habitat). There is something lacking in the ethics of Copenhagen Zoo – and all zoos for that matter. Successful owl species to be killed off to assist an unsuccessful owl species! “Conservation” is fundamentally anti-evolution if human intervention is to protect unviable species while killing off the successful ones. And here it would seem that the intervention by the US Fish and Wildlife Service is more to atone for their past sins than for any sound principles. All in the name of “Conservation”. LA Times: Federal wildlife officials have moved one step closer to their plan to play referee in a habitat supremacy contest that has pitted two species of owl against one another in the forests of the Pacific Northwest. On Tuesday, the U.S. Fish and Wildlife Service released a final environmental review of an experiment planned in three states to see if killing barred owls will assist the northern spotted owls, which are threatened with extinction after a major loss of territory since the 1970s. The agency’s preferred course of action calls for killing 3,603 barred owls in four study areas in Oregon, Washington and Northern California over the next four years. At a cost of $3 million, the plan requires a special permit under the Migratory Bird Treaty Act, which prohibits killing non-game birds. “It’s a fair assessment to say that going after the barred owls is the plan we’d prefer to pursue,” Robin Bown, a federal wildlife biologist, told the Los Angeles Times. The agency began evaluating alternatives in 2009, gathering public comment and consulting ethicists, focus groups and conduction scientific studies. It will issue a final decision on the plan in 30 days. Posted in Academic misconduct, Behaviour, Evolution, Wildlife | Comments Off on Successful owl species to be killed off to assist an unsuccessful owl species!